Derry, Ashley and Andrew all entered The X Factor as solo artists. 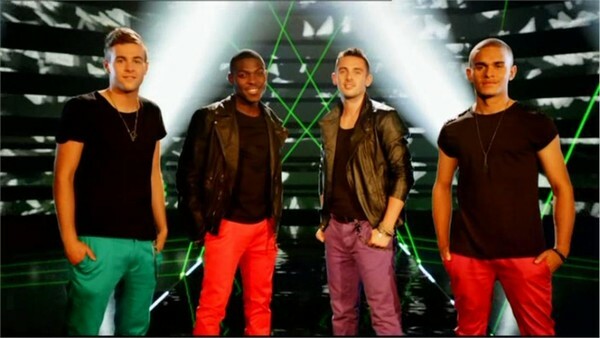 They were put into a group at Bootcamp along with two other contestants, Marlon and Mitchell. However, at Judges’ Houses, Tulisa decided that Marlon and Mitchell weren’t right for the group and replaced them with Charlie, who originally entered the competition as part of the band, Chasing Keys. Andrew started singing at his uncle’s wedding when he was nine. He took singing lessons and loved it so started performing gigs at nursing homes. He also did weddings and charity events but stopped when he was 17 as he didn’t feel like he was getting anywhere. Charlie has auditioned for The X Factor twice before as part of groups Nu Status and then Harmony Hood. He got to Judges’ Houses once. He auditioned this year as part of Chasing Keys after meeting the other boys at Bootcamp last year. Ashley started singing at church, where he also learnt to play the piano. He recently graduated from Cambridge University. Ashford’s dream is to duet with Chris Brown and be the first of three generations in his family to fulfil a dream of making it as a singer. His dad and two granddads all wanted to be singers but never had any success. The Risk were voted off in week five. Due to them receiving the fewest votes then didn’t get the chance to sing for their survival and was booted straight out of the competition.